On Saturday some friends and I successfully navigated the muddy waters of the Tough Mudder. It was pretty enjoyable, in that deliberately signing yourself up for a painful event sort of way. We had signed up for a start time of 11 am, thinking that it would be nice to sleep in, eat a bit, and then get started. Ease into the day nicely. Our actual start time was 1 pm, which was definitely later than we had hoped to start. The sun was in full force. We had decided to go for a Ninja Turtles theme. Matching green shirts, and then each of us had shorts, headband, and wristbands for our respective characters. In addition we each had on long-ish green socks and black lifting gloves (to help with monkey bars and prevent the risk of splinters). I enjoyed our costumes, but we weren’t the only Turtles out there. If you want to be truly unique, get weird. Tip Number 3: Put off walking (I’m not saying I followed this tip, but in retrospect I wish I had). At any point in the race, in the next half mile there will probably be an obstacle. At that time you can walk up to the obstacle and go through it. Consider that your rest. To go into high school coach mode: the run is only as tough as you make it. This guy (or girl) will tell you about how this is not a race, this is not a competition, this is a challenge. 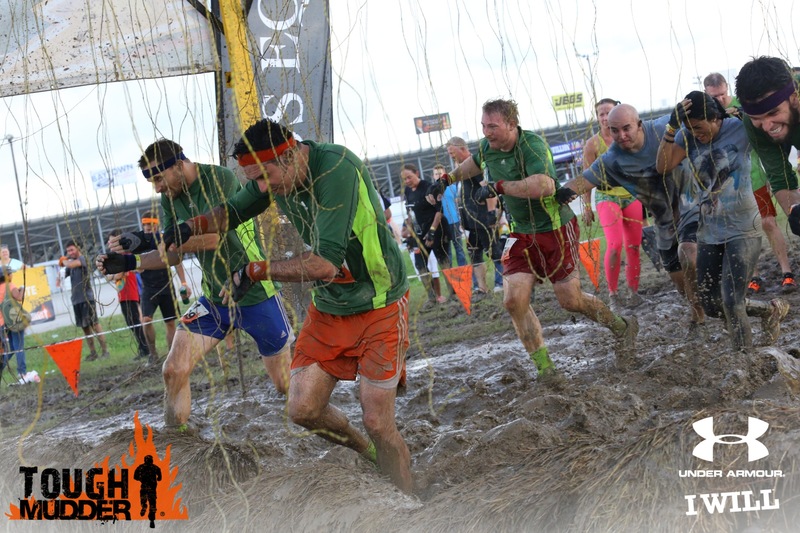 As part of the challenge you will have to support your fellow Tough Mudders. Teamwork makes the dream work and all that. Tip Number 4: Just Give Me a Second, Geeeeez … Inevitably (probably) you will get to an obstacle where you won’t ace it on the first maneuver. If you’re like me, you’ll probably want to try again because if-only-I’d-just-…-OK-I-got-this … It’s nice that everyone wants to help (and I was guilty of this), but sometimes things just take a few tries. 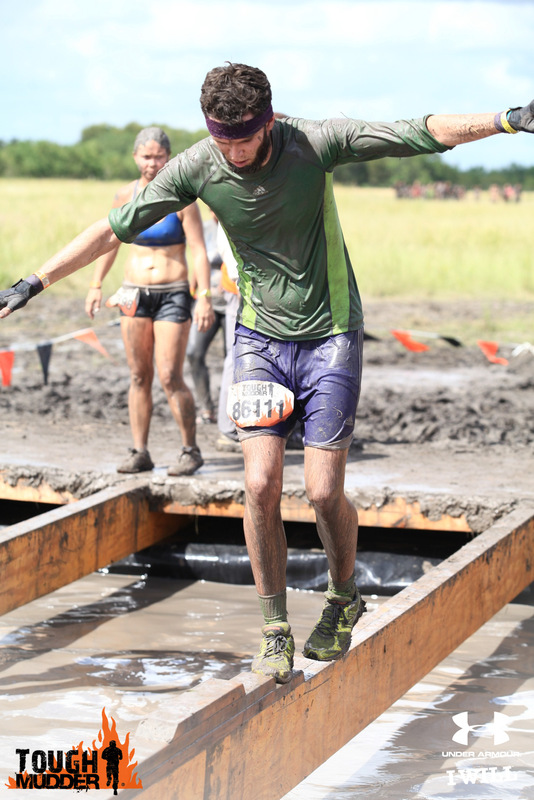 So, fellow future Tough Mudders, if you see someone struggling, and there are already ten people en route to help the struggler, just move along. You don’t need to be the eleventh helper monkey. 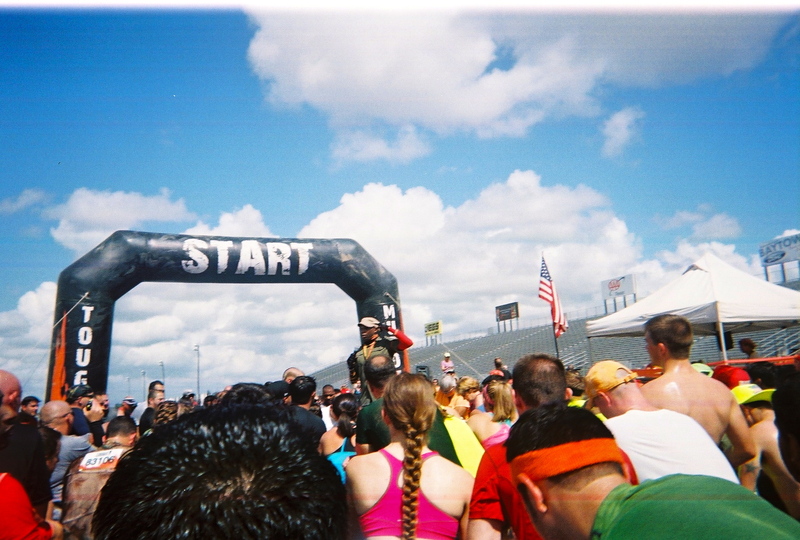 My friends and I brought along two disposable, waterproof cameras. 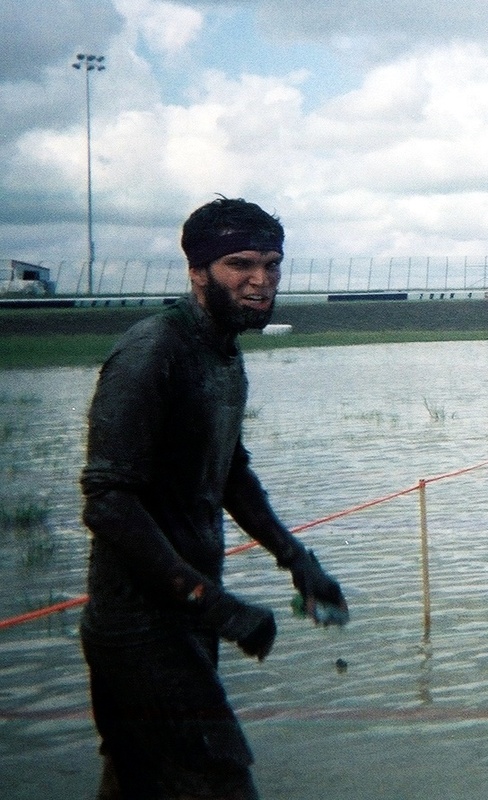 We have done this for other mud runs and it has worked well. For this one, it turns out, mud can really cloud some photos. Nevertheless, we got some good photos out of it (albeit some of them were a bit blurry). Tip Number 5: Have fun! Bringing a camera and taking pictures of you and your friends putting yourselves through an unnecessarily difficult Saturday or Sunday morning or afternoon is a way of taking ownership of the event? Aw heck, we all know it’s for Facebook.